One of the most common Disability Tax Credit-related questions we receive on a daily basis is whether a person living with a disability in Canada should apply for the Disability Tax Credit or CPP disability benefits. While both are designed to help differently-abled Canadians maintain a high standard of living and provide financial stability and security, these Canadian disability programs are not mutually exclusive: you can qualify for both the DTC and CPP, though qualifying for one doesn’t guarantee approval of the other. Here’s what you need to know about the Disability Tax Credit and CPP disability benefits. What is the CPP Disability Benefits Program? 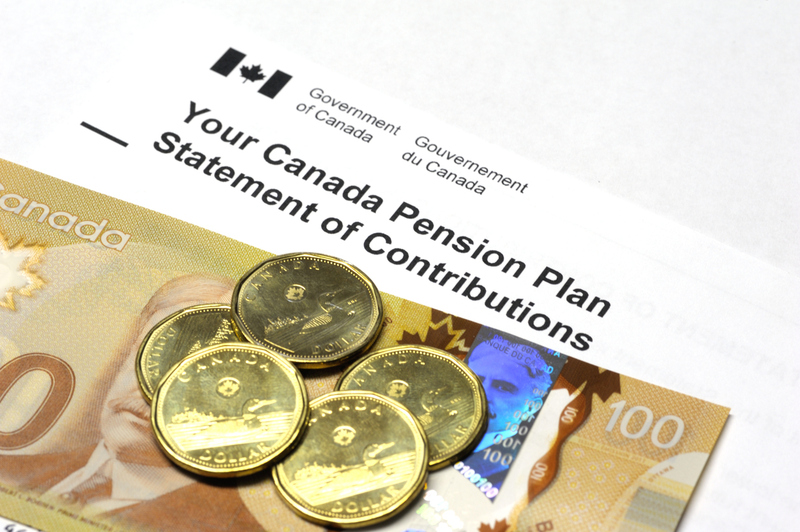 The largest long-term disability pension plan in the country, the Canadian Pension Plan provides contributors and their families with partial replacement of earnings in the case of retirement, disability, or death. If you become severely disabled to the point you cannot work at any job on a regular basis, you and your children may receive a monthly benefit. In order to qualify, in addition to being ‘severe’, your condition must be ‘prolonged’, meaning your disability is long-term and of indefinite duration/likely to result in death. These two criteria must be met simultaneously at the time of application. Like the Disability Tax Credit, medical adjudicators will determine eligibility based on your disability application and supporting documentation. And like the DTC application process, it takes about four months for a decision to be made, one way or another. Unlike the Disability Tax Credit, you can receive a maximum of 12 months of retroactive CPP payments from the date your application was processed. The DTC allows for retroactive payments of up to 10 years! CPP payments are received monthly, and the amount is determined by your contributions made to the CPP fund during your working years. There are some exceptions, but for the most part, if you haven’t contributed enough towards the CPP fund, you may be ineligible to receive benefits under the CPP plan. What is the Disability Tax Credit Program? The Disability Tax Credit program, on the other hand, comes in the form of income tax relief through adjustments on your T1. Retroactive relief is available like the CPP, but this extends up to 10 years back, rather than 12 months. Similar to the CPP, a qualified person must have a condition that is severe and prolonged. A qualified person can receive up to $20,000 in disability benefits, or $50,000 if you’re claiming for a disabled child. To receive the DTC, the person making a claim must have a completed, submitted, and approved Disability Tax Credit certificate, or Form T2201. The DTC is transferable to a common-law partner, spouse, or family member that has provided food, clothing, shelter, or financial support to the person making the claim. Form T2201 can be submitted at any time of the year. Perhaps most important to note is the Disability Tax Credit is a ‘gateway’ program that opens up other disability benefit programs for Canadians in need, including the Canada Child Benefit, the Registered Disability Savings Plan, Working Income Tax Benefit, and more. You can! These programs are not mutually exclusive, meaning you can receive disability benefits from both programs assuming you meet all requirements outlined by the government. In fact, you can actually use the benefits of one program to maximize your return of the other. For example, if you’re receiving CPP disability benefits every month and qualify for the DTC program afterwards, those CPP benefits are taxable, thereby allowing you to get a return on the CPP money you received. Combining CPP with the DTC can effectively make your CPP benefits tax-free! Get all the Canadian disability benefits you deserve with the help of Canada’s largest Disability Tax Credit service provider. Qualifying for the DTC can help you get the most out of your CPP contributions, while opening the door for other potential disability benefit programs. Call us today at 1-888-389-0080 or schedule a free consultation online with one of our Canadian Benefits Specialists!